Due to the poor construction condition and the influence of environment in winter, it’s a regular engineering qualitative accident season. 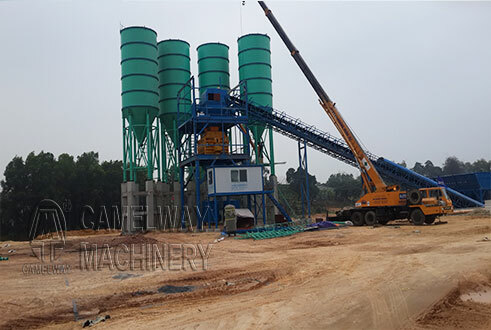 How to use and maintain concrete batching plant is a prerequisite to ensure the projects to go on smoothly. With decrease of temperature, the amounts of projects become relatively less than usual. The projects even will be stopped in bad weather. Therefore, many concrete batching plant owners will ignore the maintenance of it, which leads to the emergence of breakdown in spring. Therefore, it seems more important to maintain concrete batching plant in winter. Besides, if you are interested in any of our products like the diesel concrete mixer, concrete pan mixer,js serise concrete mixer,concrete batching plant,RMC concrete mixing plant and so on, please feel free to contact us. We are looking forward to forming successful business relationship with new clients around the world in the near future.